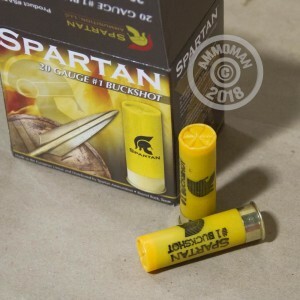 This 20 gauge shotshell load from Italian brand Spartan is a great all-rounder that will work on the range, in the field, or in a self-defense situation. 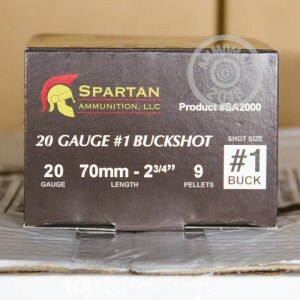 Each shell in this case of 250 fires 9 pellets of #1 buck, delivering relatively low recoil and more than enough power to take down a threat (two or four legged). 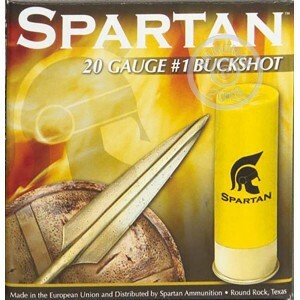 AmmoMan.com is the best place to get all types of ammo by the case. 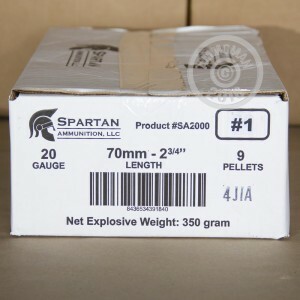 Order this ammunition (or any other items totaling $99 or more) and you pay only the list price. That means free shipping with no shipping calculators or nasty surprises at checkout! Our order was shipped quick and really appreciate the free shipping and great price.